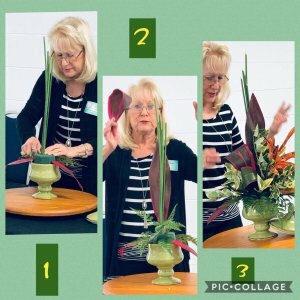 Sue Cangialosi, FFGC Accredited Judge, presented the FFGC Program, “Fun With Flowers,” a hands – on floral design demonstration, Saturday, February 2, 2019. Attendees had a great time, following Sue’s lead, as they selected, cut, and arranged their designs. Everyone was thrilled to take home their very own design. 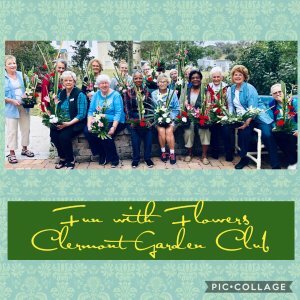 Clermont Garden Club members meet every third Wednesday of the month at the clubhouse, 849 West Avenue, Clermont, Florida 34711. Meeting begins at 10:00 A.M. New members and guests are warmly welcomed.